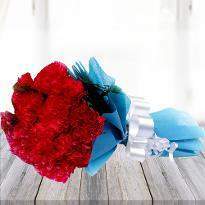 The act of giving flowers can bring a real smile on your loved one’s face. 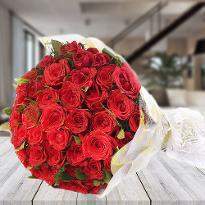 Sending flowers is the most beautiful way to appreciate your dear ones for there in your life. 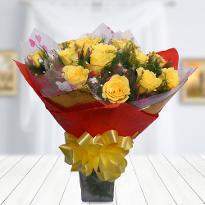 Make them feel awesome on special occasions through Winni's online flower delivery in Haridwar. People embrace every moment with something appealing. 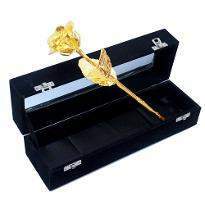 These can be lovely Lilies, dazzling Carnations, lively Gerberas, colorful Orchids and any floral variety that can be used to adorn somebody’s day to infuse happiness and love in the most vivid way possible. 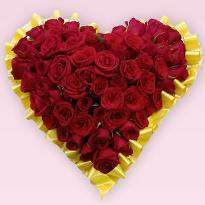 Now with Winni, you can send flowers to Haridwar online through our exclusive services and a wide array of delivery options. Send someone their little piece of paradise with these majestic flowers which are available in both bold and subtle color making the bunch look almost irresistible for any occasion. 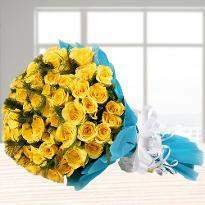 Flowers are suited for nearly any occasion and it also turns the bad mood into a good one. 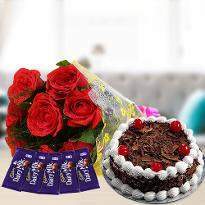 Team up these gorgeous looking flowers with these delectable and delicious chocolates as it is always considered as the perfect combination. The chocolates will make you crave and yearn for it more. 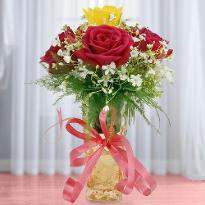 The flowers are picked fresh from our floral farms and that too during the peak of perfection. 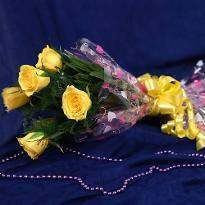 They are hand delivered with our flexible delivery services which allows them to send flowers online to Haridwar and remote cities. 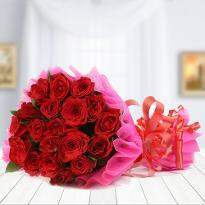 You can easily get the online flowers delivery in Hardiwar at Winni as we bring you numero of delivery options like same day delivery, midnight delivery, and fixed time delivery too. 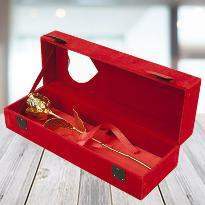 These flowers along with the gifts are going to add a sense of nostalgia amongst your friends, family and loved ones. 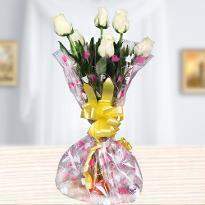 We have a widespread reach which allows you to send flowers to Haridwar and more. 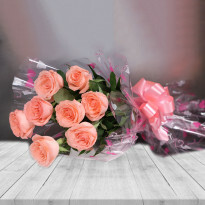 Now you don't need to rush to nearby flowers online store in Haridwar, as one can send flowers through India’s fastest flowers delivery in Haridwar offered by Winni. 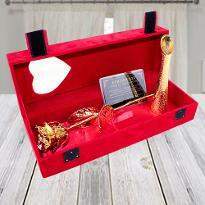 Yes, now with Winni you can be a part of Haridwar from the comfort of your home and send flowers to Haridwar and its every corner and its every street through Winni exclusive service and a vast array of delivery options. 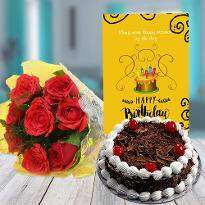 Winni, the leading online florist in Haridwar, provide a rich variety of flowers bouquet and chocolate blossom bouquet which comprises of various chocolates wrapped elegantly that can further be sent through hassle-free online flower delivery in Haridwar. 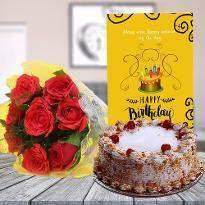 No matter what occasion it is, you can now order an anniversary bunch, birthday floral basket, exotic romantic bouquet and fill your special someone’s life immense happiness. 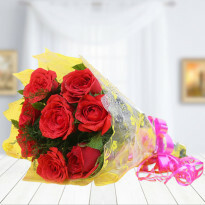 All you need to do is order a cheer up a bunch, a congratulation flower basket from the diverse variety available, you can even apologize to someone close by sending flowers to Haridwar through Winni. 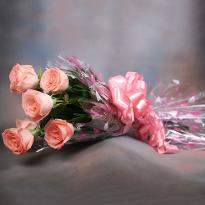 These stunning flowers with their striking beauty and soulful essence can brighten up anybody’s day in Haridwar. 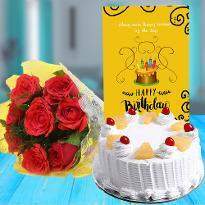 With Winni's online flower delivery in Haridwar, you can celebrate or embrace any occasion with flowers that are beautifully coupled with a tasty cake. Winni's delivery options avail you not only to deliver floral happiness but also let everyone be part of the celebration anywhere in Haridwar. 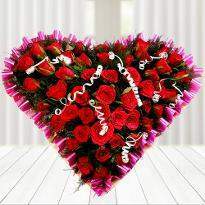 Remember us on every festive season and send flowers online in Haridwar. 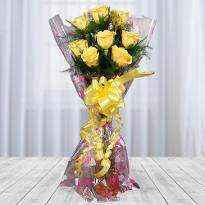 Our local florist is quick to respond to deliver flowers at your desired place as per your demand. 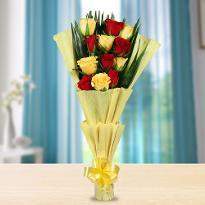 Our online flower store in Haridwar is quintessential for all occasions. So, what are you looking for? Hurry up! 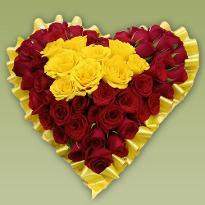 Pick your favorite flowers and send it across to your loved ones with Winni right away.